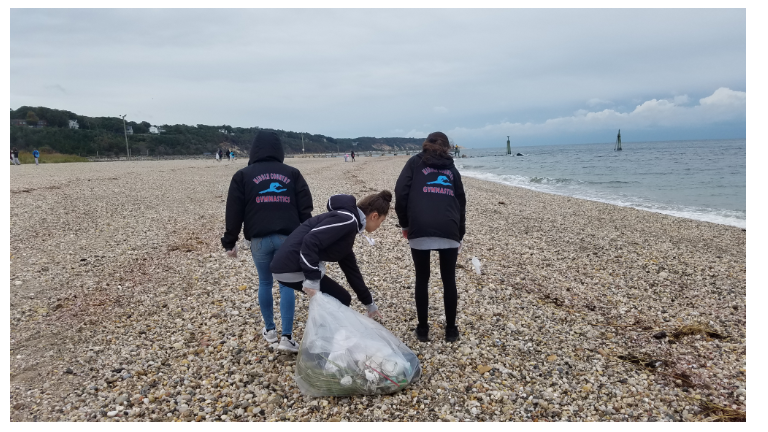 Each year, the team participates in cleaning up the beaches that they use the most. 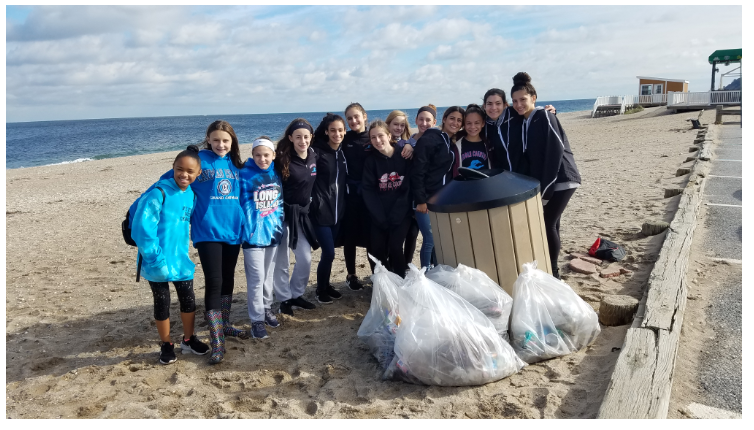 Instead of working hard in the gym, they worked hard on the beach, cleaning up the garbage left behind from the beautiful summer season. 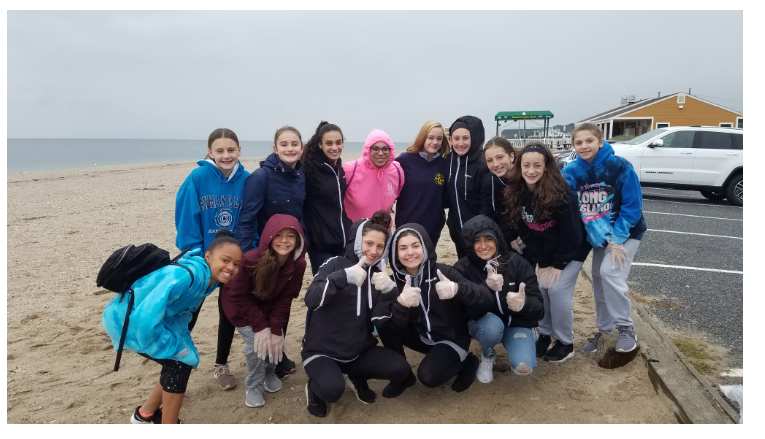 The gymnasts, and their parents and family, collected numerous amounts of garbage along the beach, dunes and jetties of Cedar Beach. 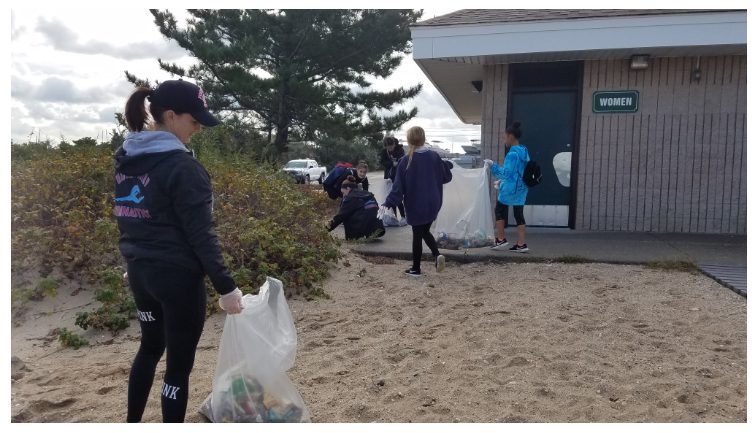 The most memorable moment of the day was a group of fisherman coming up to the girls thanking them for their help and clean up. The girls felt good knowing that their hard work was recognized.